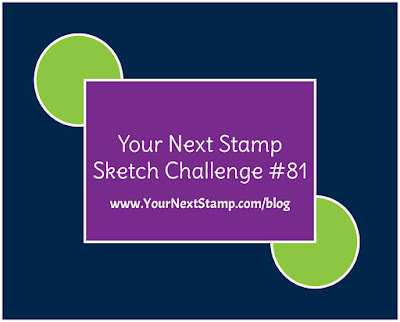 It's time for another Friday Challenge with Your Next Stamp! There are two challenges you can choose from to play along - a sketch or color challenge. Or you could do both! This a super fun sketch to use some of your smaller scraps of either plain cardstock or patterned paper. I decided to stamp the background of the top panel with the Lots of Dots border stamp before cutting out some layers on top of that with the Stitched Rectangles die. The sentiment was stamped and heat embossed before layering that with some patterned paper scraps I had for the circles. 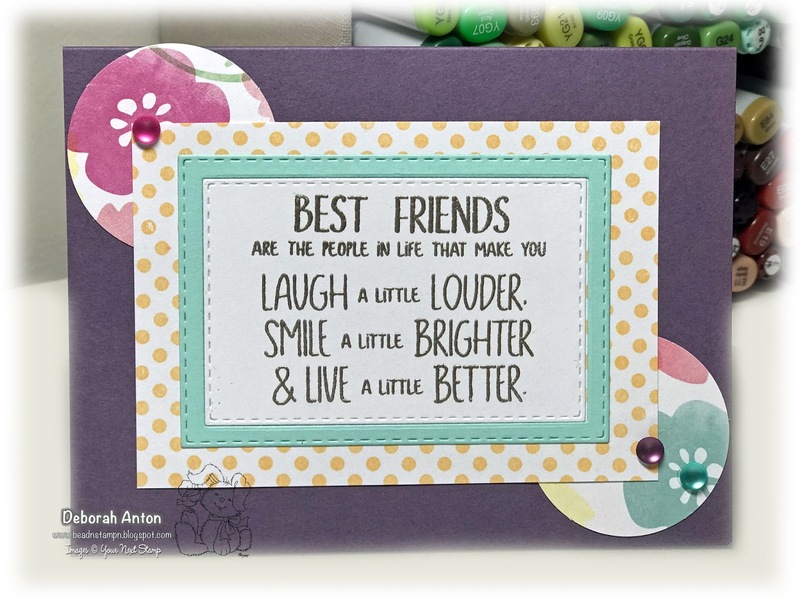 The card was completed with some fun frosted fun gumdrops. We'd love for you to play along and link up your project to the YNS Challenge blog for your chance to win a YNS store gift certificate! Who wouldn't love that? Thanks for stopping by and hope you have a fab weekend!